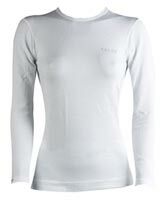 Falke's Comfort Cool Collection is an assortment of sportswear suitable for warm temperatures. 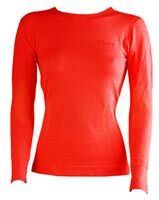 The Long-Sleeved Shirt also distinguishes itself through its uncompromising fit, attractive design and great mobility. Climate zones, partially adapted to the shape of the body, help create a cool body climate and ensure the quick evaporation of moisture.